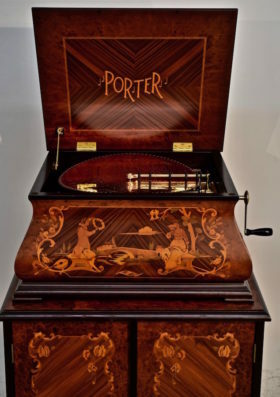 Porter Music Box Company 15-1/2″ Baroque model disc music box. 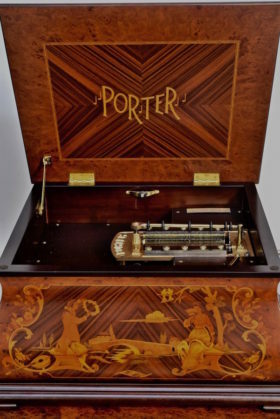 This music box features a double comb music box movement playing a total of 156 notes. 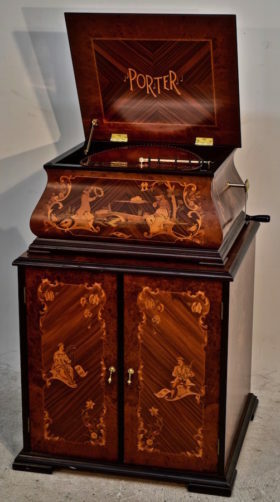 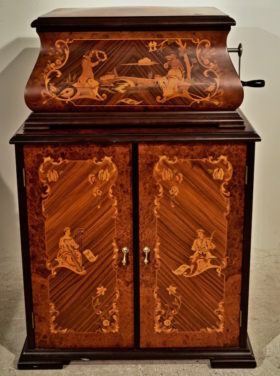 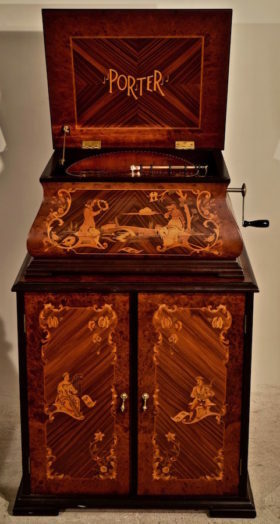 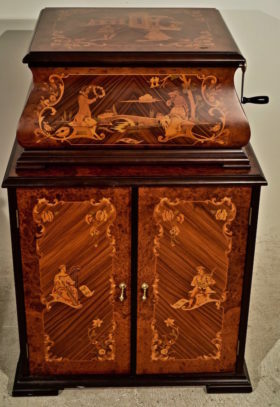 The instrument resides in an stunning marquetry inlaid case made in Italy. 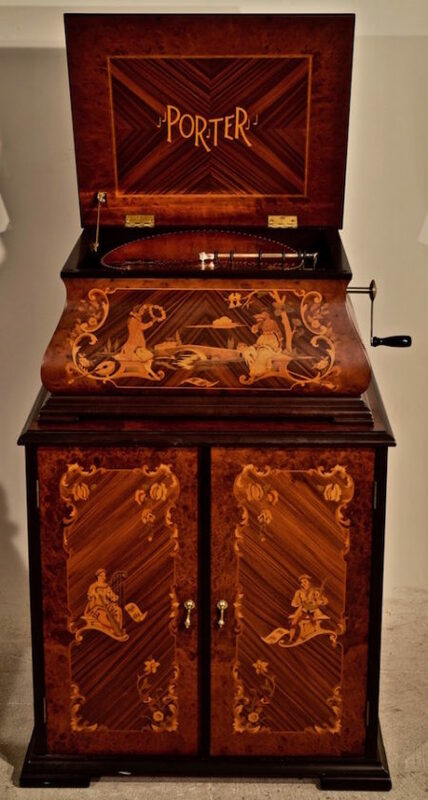 Numerous exotic woods inlaid into the case artfully result a beautiful counting scene. 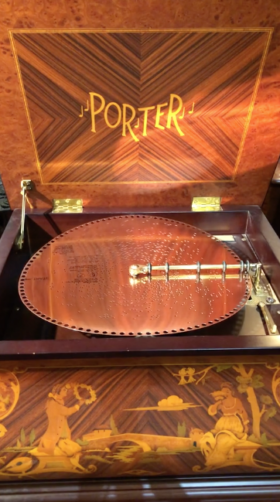 The box resides atop a matching storage cabinet to hold discs. 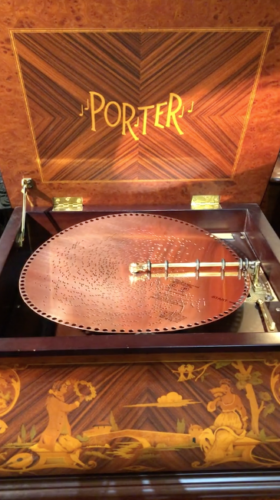 Includes 6 discs with purchase.